Ayyeee "@ChrisBforever91: It's gonna be #swagittarius season soon! " Just got my emoji back so happy! @Madison_Saxon20 no we are just amazing at bowling and they are jealous that we are just so amazing! MY AVi COMES FROM A NiGHT WiTH MY GiRLiES @iMShun_WhoRU @Wild_At_Heart10 && @WeezyTaughtMee_ BOY WE HAD A BLAST!! 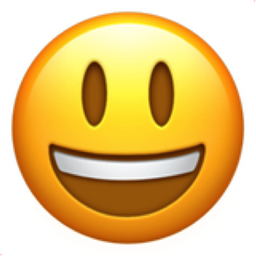 Like Smiling Face with Open Mouth Chronological Emojitweets 60?